Over two hundred and fifty years ago, General Aleksandr Kerensky departed human-occupied space, taking three-quarters of the Star League Defense Force with him. They returned in 3050 as the Clans: a society dedicated to the highest warrior ideals and bent on conquering the Inner Sphere. With their OmniMechs and superior technology, they proved almost unstoppable until their defeat at Tukayyid and subsequent 15 year truce. The year is now 3071, and the Jihad rages. Inner Sphere ‘Mechs, hastily upgraded with field modifications to counter the Clans, continue to prove their worth. Notable pilots rise to become heroes as new, time tested variants—sporting weapons right out of R&D labs—make their presence known. 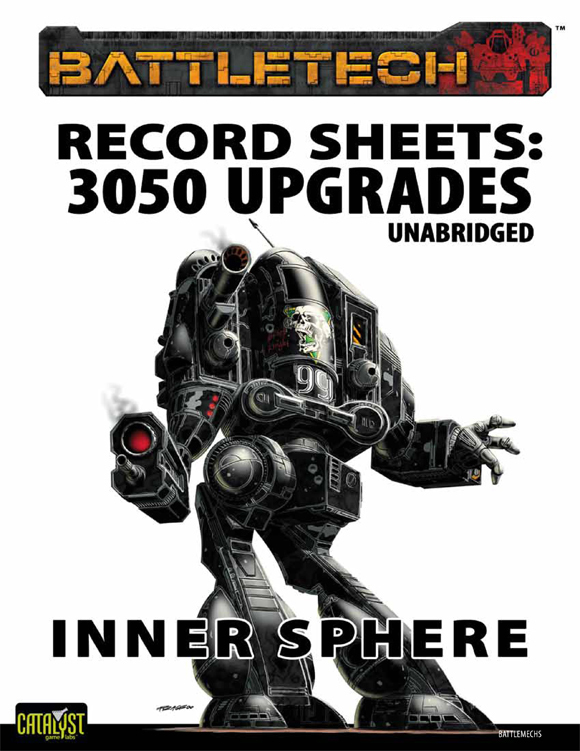 Record Sheets: 3050 Upgrade Unabridged, Inner Sphere offers players the record sheets for all the Inner Sphere BattleMechs detailed in Technical Readout: 3050 Upgrade, over 250 in total, many variants making their debut here. The Clan and Star League designs can be found in Record Sheets: 3050 Upgrades Unabridged, Clan and Star League, when it publishes. 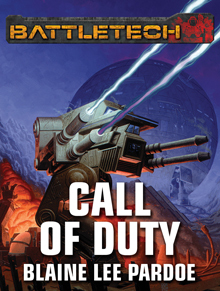 In the 31st century, the BattleMech is the ultimate war machine. Thirty meters tall, and vaguely, menacingly man-shaped, it is an unstoppable engine of destruction. 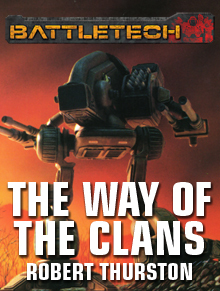 In the 31st century, the Clans are the ultimate warriors. The result of generations of controlled breeding, Clan Warriors pilot their BattleMechs like no others. In the 31st century, Aidan aspires to be a Warrior of Clan Jade Falcon. To win the right to join his Clan in battle, he must succeed in trials that will forge him into one of the best warriors in the galaxy, or break him completely. 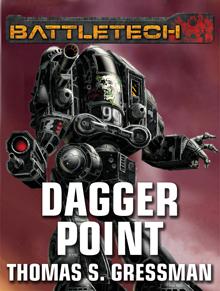 In the 31st century, Aidan discovers that the toughest battle is not in the field, but in his head—where failure will cost him the ultimate price: his humanity. Truebirth – Born in the laboratory, these genetically engineered soldiers train to be the ultimate warriors. 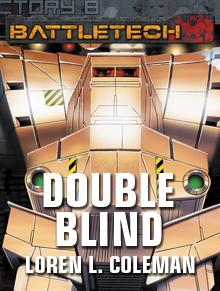 They are the elite pilots of the Clan’s fearsome BattleMech war machines. Freebirth – Born of the natural union of parents, these too are soldiers, but pale imitations of their truebirth superiors. Depised for their imperfections, they fight where and when their Clan commands. Aidan has failed his Trial of Position, the ranking test all truebirth warriors of the Clan Jade Falcon must pass. He is cast out. Disgraced. His rightful Bloodname denied him. But with a Bloodname, all past failures are forgiven. With a Bloodname comes respect. 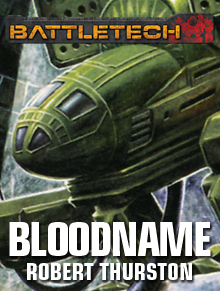 With a Bloodname comes honor. Aidan will do anything to gain that name. Even masquerade as the thing he has been taught to despise. Edwin Amis, new commander of the Eridani Light Horse, faces a touch decision: Should he openly defy the First Lord of the Star League? Sun-Tzu Liao, the First Lord, has sent Star League troops as “peace-keepers” to the St. Ives Compact to prevent open rebellion by angry citizens—but they’re not seeking peace. The planet of Odessa is caught between two adversaries whose personal antagonism may cost them much more than their lives. On one side is Count Nicholas Fisk, ruler of Odessa and a staunch supporter of Katrina Steiner, the ruler of the Lyran Alliance. In an effort to help stamp out the rebellion against Katrina’s rule that has sprouted up across dozens of Alliance worlds, Count Fisk hopes to lure one of the more successful rebels to ultimate destruction. On the other side of the conflict are Leftenant General Archer Christifori and his Archer’s Avengers, who support Prince Victor and his bid to oust Katrina. Though he knows that Odessa is a trap, the possibility of winning over the famed mercenary unit Snord’s Irregulars to the cause is too tempting to pass up. But where peace is expected, battle ensues. And the black and white of friend and foe quickly turn to shades of gray while treachery abounds.